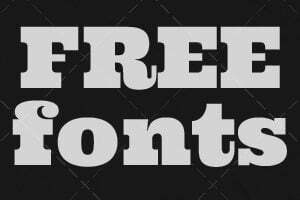 Get your hands on some fantastic freebies and resources to add to your design arsenal. 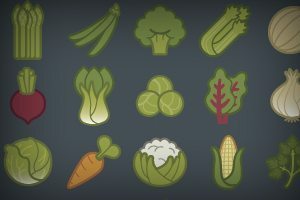 Icons, graphics, templates, mockups, and more! Every week we search all over the web and bring you a handpicked selection of the finest design freebies around. We do all the research and you reap the benefits! This week’s collection of freebies contains twenty irresistible retro and vintage web design elements. 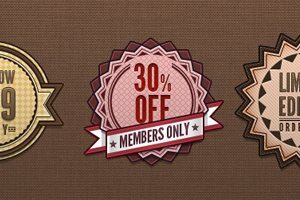 We’ve got everything from icon sets to badges and background patterns. Be sure to add these to your collection of resources so you can bust them out the next time your design needs to resemble something from a bygone era. Welcome to another installment of our weekly collection of awesome design freebies from around the web. This time we have a real treat: thirty gorgeous free fonts from Behance. There’s a ton of great work on that site and if you know where to look you can score some spectacular finds. Peruse the options below and download your favorites, then feel free to leave a comment to let us know what you think. Business cards are an awesome creative outlet where designers tend to push themselves to come up with unique and interesting solutions. If you’re a newbie to business card design though it can be difficult to break out of the cliché unoriginal layouts that will no doubt pop into your head. This post of over 15 free layered business card templates should help you out. As a bonus, we’ve included not only layered business card templates, but a few editable 3D mockup files as well so that once you start creating your own awesome designs, you can show them off in style. Didone typefaces (also known as Moderns) are a particularly classy type of font that is characterized by heavy contrast between the thick and thin portions (the vertical parts are thick) and typically very thin, unbracketed serifs. They’re a lot like slab serifs that want to be upscale and fancy. This particular classification of typeface is one of the rarer breeds to find in the free font world so be sure to take all you can get. 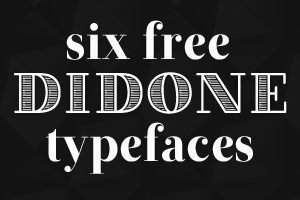 Today we’ve got a great little collection of six beautiful and free Didone fonts for you to download and enjoy. It’s 2012 and time to refresh your stock of web design icons. Stop using the same old sets and add some new resources to the mix. Today we’ve got twelve awesome icons sets that are completely free to download and use. No matter what type of project you’re working on, we’ve got your covered. 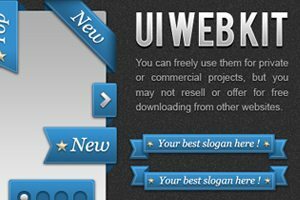 From general purpose web design icons to social media and payment methods, these twelve sets cover an impressive range of potential uses. CSS image sprites allow you to dramatically reduce the number of HTTP requests on a site by combining many or all of the images on your site into a single file. This file can then be used in conjunction with CSS background positioning to implement individual images. 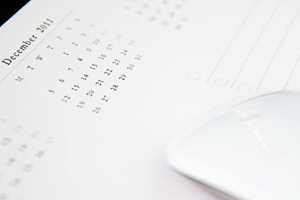 The downside of this technique is that it’s a painstaking, involved process that requires you to manually combine your images and fiddle with the CSS to get each image to display properly. Fortunately, there are a number of free online tools that completely automate this process. Today we have an awesome collection of twelve of these tools, each with its own unique take on the sprite generation process. Whether you’re looking to create a sprite from a folder of images or convert an existing site, we’ve got the tools to help you get the job done in seconds flat. 2011 is drawing to a close and we have time for one more freebies post. 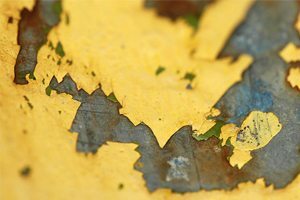 Here are fifty awesome cracked and peeling paint textures to help make your designs a little more interesting. All of the images in this post are Creative Commons-licensed content for commercial use, adaptation, modification or building upon. Just be sure to provide a link back to the original image author and you should be able to use them however you want! 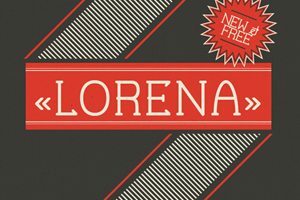 In the past, we posted an awesome roundup of 15 Gorgeous and Thin Free Fonts to add to your collection. To round out the selection we’re following that up with some nice fat fonts to utilize when you need to make a big, bold statement. Follow along as we introduce you to some of the most popular fat free fonts around. You’ll find some great serif, sans-serif, slab serif, display and even cursive typefaces to add to your collection. Designing user interface elements from scratch is a time consuming a laborious task. Don’t get me wrong, it’s incredibly fun and I highly recommend the practice, but for those occasions when you just need a good mockup or even want to spend the core of your time on other aspects of a design, using a pre-built UI kit can be an awesome time saver. 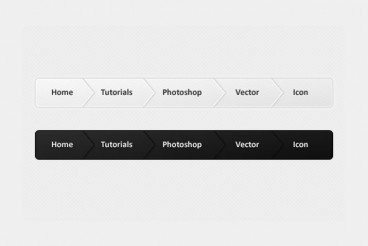 Today we’ve got a collection of twenty awesome free UI kits that have been meticulously designed down the the last pixel. Each represents hours of work and is sure to help make your design look great. 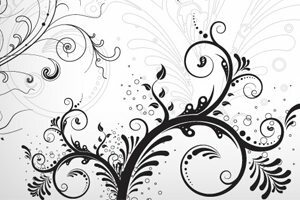 This week’s set of freebies is a fantastic collection of flourishes and ornaments. Together, these nineteen sets contain well over one hundred unique and creative pieces of art that you can use to bring your designs to the next level. You’ll find some awesome vectors that are perfect for importing into Illustrator as well as some great Photoshop brush sets. Go grab them now and start increasing the awesome factor in your work. Today’s freebie is incredibly simple but also incredibly useful. 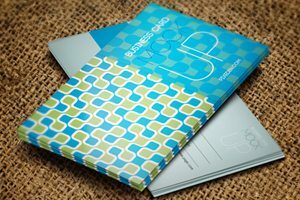 It’s a custom-made calendar, todo and notes sheet that you can print and use as a mousepad. I use it myself every day and thought I’d share it!